Michigan State University’s department of anthropology was very well represented at the 77th Annual Meeting of the Society for American Archaeology. 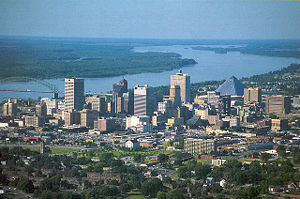 The meeting was held April 18-22, 2012, in Memphis, TN. Sylvia Deskaj organized and chaired a symposium entitled: “Recent Trends in Albanian Archaeology: A Decade in Review.” Sylvia also presented a co-authored paper in this symposium entitled: “The 2011 Field Season of the Projekti Arkeologjikë Shkodrës.” A total of nine scholars from both American and European universities participated. Amy Michael presented a co-authored paper entitled: “Mortuary Patterns and Use of Space at the Sapodilla Rockshelter, Belize.” This paper was co-authored with Dr. Gabe Wrobel et al.